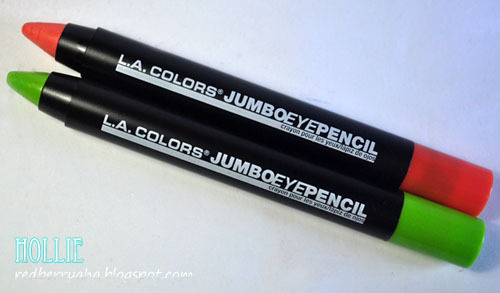 I finally got to try these LA Colors Jumbo Eye Pencils. 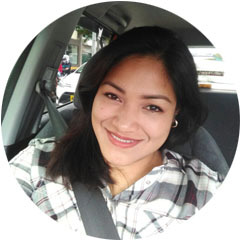 Ever since I tried using the NYX Jumbo Eye Pencil in Milk, I was hooked. 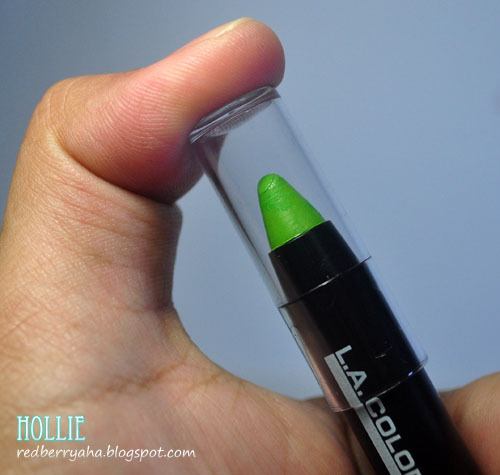 It instantly became a favorite and a staple in my makeup kit. 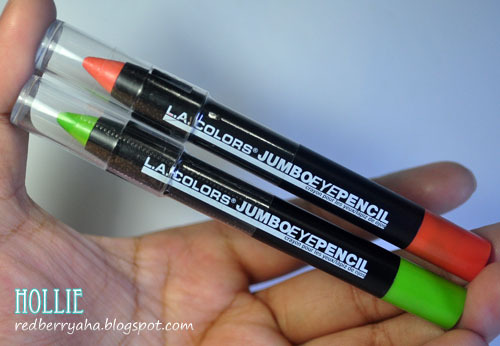 I recently noticed the LA Colors Jumbo Eye Pencils online and I just had to try them out so that I can see how they compare with the NYX Jumbo Eye Pencil. 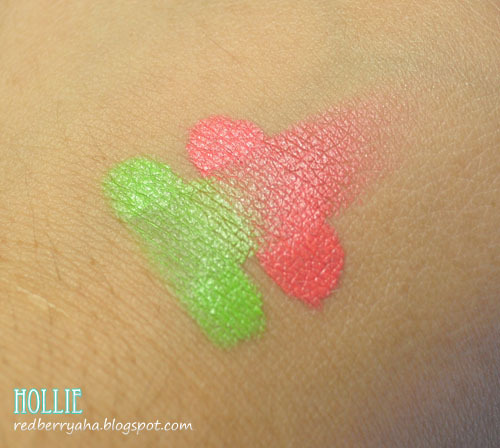 Overall, I do like these Jumbo eye pencils as an eyeshadow base. But other than that, I can't think of any other use for them. I still prefer the formulation of the NYX Jumbo Eye Pencils because they can be used as an eyeliner and eyeshadow base at the same time. 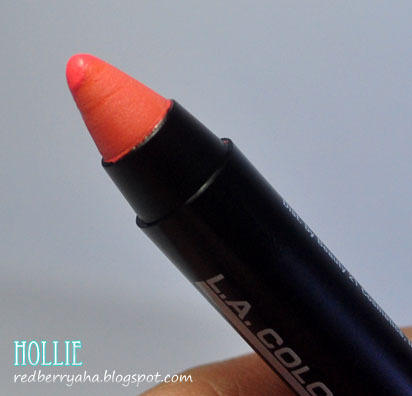 The LA Colors Jumbo Eye Pencils are just too creamy to be used as an eyeliner. 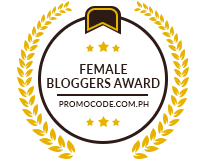 Let me know what you ladies think about this, especially if you have tried using it. My goodness, these colors are so bright and fun but I am not sure if I could rock them. Looks like I'll have to go with neutral colors instead. the colors are soooo pretty! too bad they're very creamy. I have a question...when the tip runs down can you get more out of them or is that it?